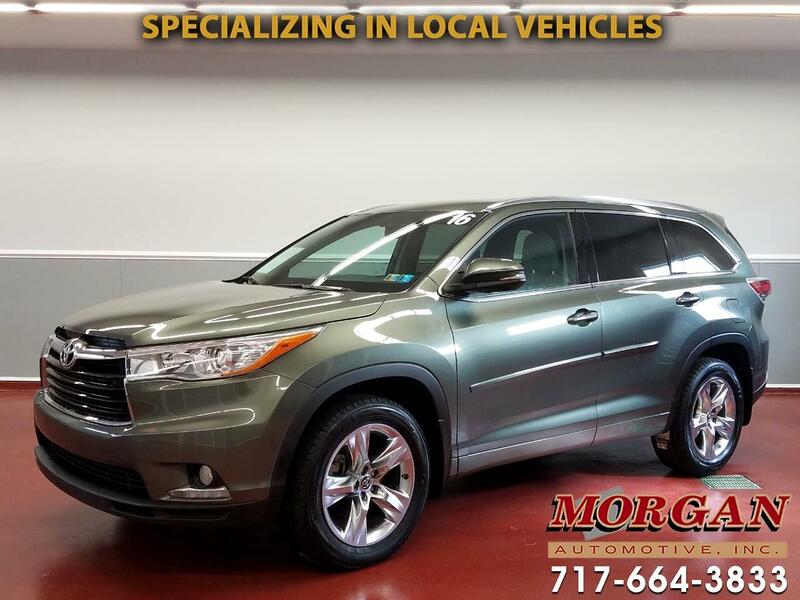 LOCAL TRADE - JUST OFF LEASE****LIKE NEW 2016 TOYOTA HIGHLANDER LIMITED WITH NEW TIRES AND BRAKES! ****POWER MOONROOF****NAVIGATION**** Legendary safety, comfort and reliability in a 7-passenger SUV. Awesome features including blind spot monitor and rear cross traffic alert, adjustable power liftgate, heated and vented leather seats, power memory driver seat, 2nd row captain seats, backup camera, Entune 8" touchscreen infotainment center with JBL premium sound system, AM/FM/SXM/CD/AUX/USB and Bluetooth, wood grain trim and 3-zone climate controls! Runs and drives great, has just been through our Morgan Automotive certification passing a 110 point check and fresh oil change. Financing is available, if interested please contact one of our commission free sales team members.